This is art imitating life. My formerly easy going child who ate everything has become this opinionated picky eater. This conversation literally happened exactly as is, minus the Frenchy bits. 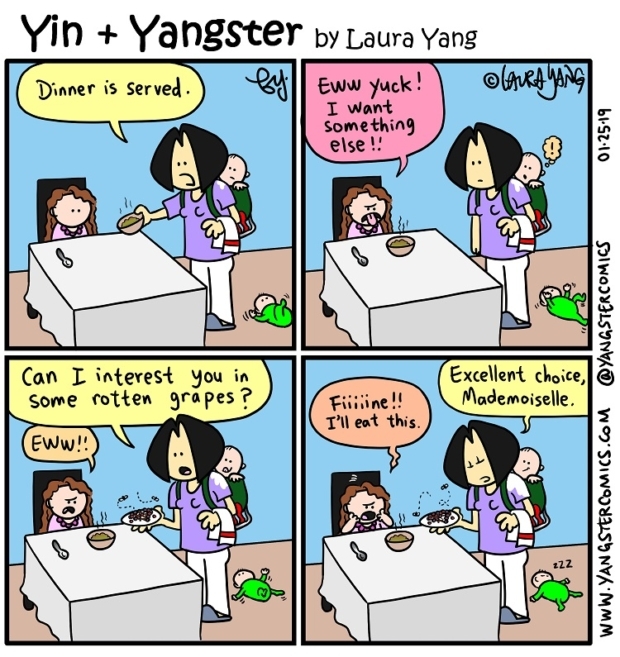 Anyone else have kids who are picky eaters? ?